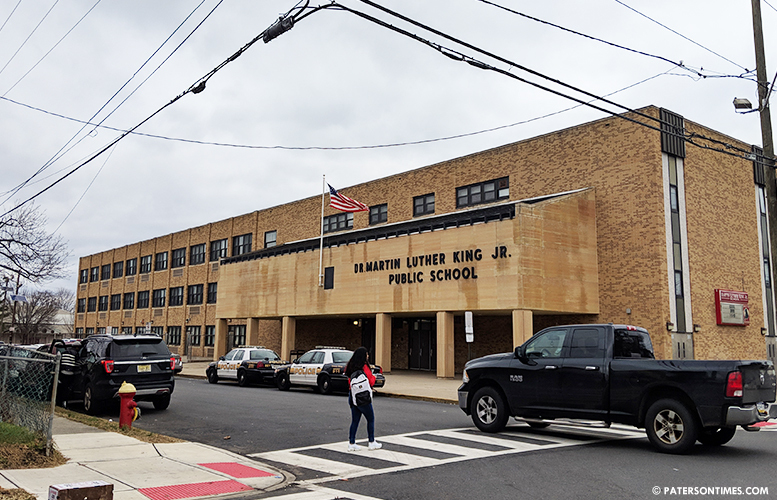 A former Paterson school teacher claims a five-year old autistic student with “significant” behavioral problems bit, scratched, spit, and kicked her at the Martin Luther King, Jr. Elementary School. Lekeysha Alston-Page, who was terminated six months ago, makes the claims in a hitherto unreported lawsuit filed against the district on Jan. 22, 2019. She accuses the district of disability discrimination. In Sept. 2017, she was provided accommodation which meant a transfer from Panther Academy to School 30 after she suffered an anxiety attack due to exposure to rats in the building, according to her lawsuit. Alston-Page, described in the lawsuit as a para professional and character education teacher, was assigned as a one-to-one personal aide to a five-year old autistic boy on Sept. 6, 2018. District payroll data over the years listed her as a special education instructional aide. She had worked for the district for 14 years. The boy was “physically aggressive” towards her. At times, the student had to be physically restrained, according to the lawsuit. Alston-Page complained to chief special education officer Cheryl Coy, principal Monica Florez, and teachers’ union vice president Charles Ferrer about the assignment. She noted she was not properly trained to work as an aide to an autistic child and that continued exposure to the boy was causing her physical and emotional harm. She suffered physical injuries at the hand of boy. She was “bitten, scratched, spit at, and kicked by the child, which required a tetanus shot,” says the lawsuit. On the same day, she sought treatment at the Immedicenter in Totowa after receiving scratches from the student. She was given a tetanus booster shot. She returned two other times after getting scratched and kicked by the boy. On Oct. 4, 2018, she was taken to St. Joseph’s Regional Medical Center by ambulance due to her exposure to the student. On Oct. 8, her doctor completed a 504 ADA Accommodation request that included a transfer from the current assignment. Abusive exposures at the assignment would cause cardiovascular and neurologic complications from hypertension and cervical radiculopathy, according to the lawsuit. Upon her return to work, Alston-Page had to undergo a fitness for duty exam from the district’s doctor, Scott Coleman of Immedicenter. She complained about chest pain, headaches, and difficulty breathing. Coleman suggested a transfer to another school. She was later examined by her own doctor, who also suggested an assignment change. The school district refused Alston-Page’s request for accommodation by a transfer to another assignment. Instead, she alleges the district retaliated against her by terminating her employment on Oct. 15, 2018, according to the lawsuit. Alston-Page alleges the district violated New Jersey Law Against Discrimination by failing to accommodate and by firing her. She is not just making an allegation, she is very detail, this child may need to go to a different school, I sometimes believe that parent keeps these kids at home for a reason, maybe the school district should reach out to this parent and come up with some solutions. I applaud all teachers just dealing with the different personalities should be applauded.